Have you recently hit your 30’s and are finding out that all those beauty tricks you were using in your 20’s just aren’t cutting it anymore? Perhaps your tastes are changing – and you’re just starting to realize that it’s time to change things up just a bit. Not sure how to adjust your daily routine to your new 30s lifestyle? Here’s a roundup of some of the best beauty tips for women over 30. Wash your face every night. In your 20s, there were probably loads of late nights out on the town where you came home exhausted and totally crashed without even thinking about cleansing the makeup off your face. Well, once you hit that 30 mark, it’s really time to start paying attention to your skin – and returning it to clean slate status every night is essential. Don’t be afraid to treat yourself to the occasional facial – after all, you’re in your 30s now. There’s nothing as wonderful as giving your skin the refresh that comes with all the fabulousness of a facial. And, keeping up with that routine will keep your skin looking dewy and fresh – exactly what keeps you looking forever young. Think about going to the dentist for a professional teeth whitening. Glowing and gorgeous teeth will help keep your whole face looking brighter, younger and just gorgeous. Skip the drugstore treatments and see your dentist about getting the job done right. Don’t skip out on moisturizing. When you start to age, so does your skin and that means keeping it soft and supple is up to you. Finding a moisturizer you love is essential – and sticking to that routine will save your skin in the long run. Add essential fatty acids and antioxidant rich foods to your diet. It’s time to fuel and cleanse your body from the inside out – and that means stepping up your diet to be more focused on the good-for-you foods that will keep you looking young and add some extra pep to your step. Make protecting your skin from the sun a number one goal. Now is definitely not the time to add sun damage to your skin’s resume – it’s time to protect it and keep it looking just as young as when you were in your 20s. Utilize sun protection every day – and get into hats with wide brims as part of your new 30s style. Hydrate. Hydrate. Your skin will thank you for this one. Keeping your skin hydrated and young actually starts from the inside – and that means loading up on water every day. Have you recently turned 30? What beauty treatments have you found to be vital these days? For those that are in their 30s this is a great article from Loren’s World. 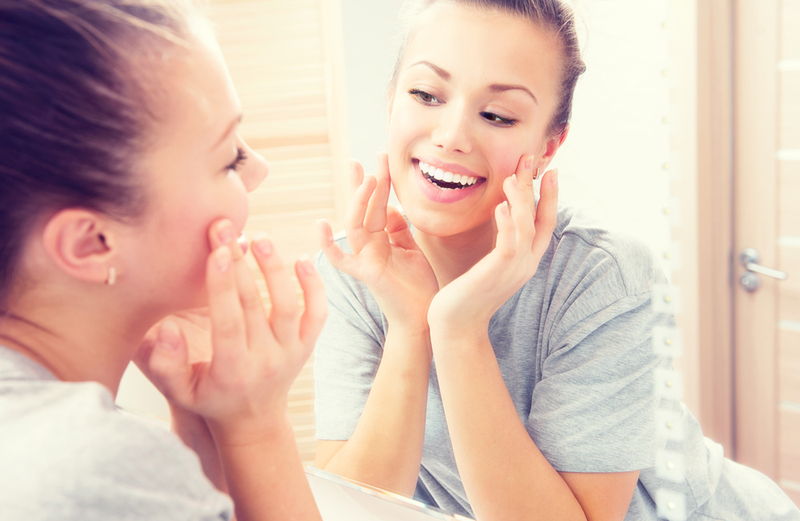 Cleansing, Toning, Treatment and Moisturizing are the essential steps of a skincare routine. Finding the products for your skin care needs can be a cinch when you take the Skincare Analysis found on my Motives website. Click Here.